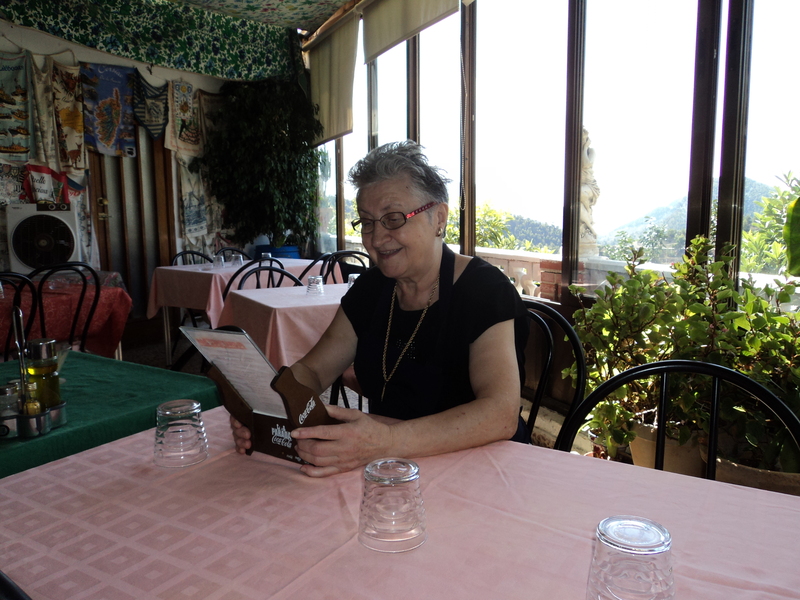 Mercedes runs her Sella restaurant and Bar down on the main road with great style and professionalism.It´s always been hugely popular with foreign visitors – witness her amazing collection of tea-towels gifted from all over the world. If your neck of the woods isn´t represented – send her one when you get home! It´ll find a home in the Bar Fonda. 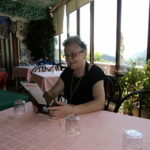 Her recipe for success is simple – order lamb, chicken, rabbit or pork chops and then she´ll bring: salad, cheese, ham, sausage from the village, tortilla, roasted peppers, chips and finally your chops. Wash it all down with wine from her barrels of red, you walk past them as you enter, and finish off with a Café and a Copa of Spanish Brandy ( coñac) Lovely!